Home Technology Are Flying Cars the Future of Transportation? Are Flying Cars the Future of Transportation? The aviation industry has greatly evolved ever since the Wright Brothers took their first flight. The power of innovation has led man to create a sustainable future for transportation. Particularly, science fiction movies have always triggered the public imagination for flying cars. Up till now, people have suspected the feasibility of this idea, but it seems that the race to create flying cars has already started. 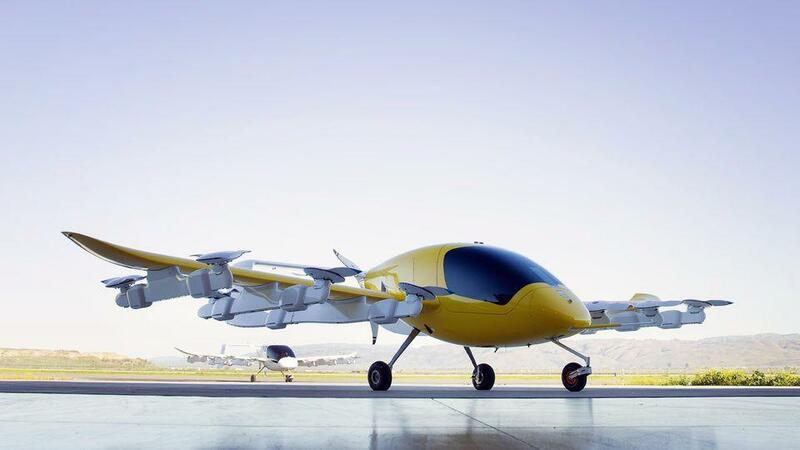 Recently, Kitty Hawk, a company for aerospace products, has revealed an aerospace product called Cora with the vision of creating a commercial network of flying taxis. Kitty Hawk is an aerospace corporation supported by Google’s co-founder Larry Page that aims to manufacture usable flying cars for the general public. This company is stepping up the transportation game by introducing an autonomous flying taxi which would enable people to reach their destinations without having to worry about traffic problems. Talking about its features, Kitty Hawk says that Cora is designed to carry two passengers and fly up to 3,000 ft. Having a dozen battery-powered rotors, it can fly as fast as 110 mph and has a 36 ft wing span. Cora does not need a runway or an airport because it takes off like a helicopter and lands vertically. It is 100% electric and self-piloting so there is no need to have a pilot’s license as well. Apparently, Kitty Hawk has collaborated with the government of New Zealand to explore the barriers to the testing of Cora. The New Zealand operations are being held under a company called “Zephyr Airworks”. They are using New Zealand as a test-bed for the certification of their flying taxi because the country is famed to have the best aviation industry. Kitty Hawk also intends to develop an Uber-like application to provide a better flight experience. The concept of Kitty Hawk’s flying taxi for day-to-day commutes is not entirely new. Many companies are working on launching such taxis including Boeing, Airbus’s Vahana, Uber, and the German developers of the Lilium and the Volocopter but the real challenge is whether they can be commercialized for consumer use. Amidst all the Utopian talk about flying cars, the potential question arises—how safe is this contraption? Well, Cora is being tested on the lands of New Zealand for the very reason. Cora operates on three flying softwares. All the twelve rotors and these softwares work independently so that if one fails, the others can handle the aircraft’s system. As it is all-electric, it has net zero emissions which makes it environmentally friendly. If Kitty Hawk’s team becomes successful in launching it as a commercialized air taxi service, it can be efficiently used for on-demand immediate travel and can help overcome the congestion on the roads. Emergency and ambulance services can definitely benefit from such flying taxis. The era of The Jetsons or Star Wars is yet to be seen. It all depends if such vehicles can provide a safe approach to our solutions concerning traffic jams, fast transit, and emergency services while also laying an effective foundation for the future of airspace technology.